The morning of the fifteenth day breaks cold and dreary with relentless rain, the ocean windswept. An eerie blue light penetrates the cabin, revealing a silhouetted form that sways in the half-light. Eyes closed, fist propping up her chin, April dozes as she pedals. A green lava-lava tied across the stern window is ready to catch her head when it falls. Skirting the westernmost point of Guadalcanal, Coral Sea Corner as we later call it, the wind accelerates to thirty knots and all hell breaks loose. No longer protected by land, we are now exposed to the full force of the southeast trades sweeping unchallenged across the Pacific from South America. The seas around us become steep and confused, upshot of the confluence of winds, tides, and currents ricocheting between the islands. For every mile we pedal south, we’re losing six west. Then it starts to rain. Heavily. We steer a course for the northern tip of Savo Island, its trademark splodge of cloud hovering overhead. “Don’t go south of it,” the police chief on Tulagi had warned. “Militias use Savo to run weapons and food to Guadalcanal.” Making a detour this early on in the voyage is somewhat inconvenient, especially with the trades gathering strength, but with Cairns over eleven hundred miles away, an extra ten won’t make much of a difference. The wind is light. A gentle swell rolls in astern. The conditions are near perfect for April to start acclimatizing to life on the briny. For now, she looks happy and relaxed—perhaps a little too relaxed. Listen to the audio broadcast in The Writer’s Almanac. “So, what dae ye think life aboard Moksha’ll be like?” said Kenny, perched behind his camera. The Expedition film has been chosen for Arclight’s Documentary Festival competition. Please vote for the film with a LIKE on YouTube and we’ll get this thing on the big screen. Many thanks! Our planned departure date of May 1 came and went. Every day we postponed for lack of sponsorship was one less day to bike to Vladivostok in easternmost Russia, and launch Moksha before the Northern Hemisphere winter set in. Not thrilled about the prospect of freezing to death in Siberia, we decided to fix a cut-off date. If a title sponsor hadn’t stepped up to the plate by June 1, we would either postpone until the following spring, or abandon the effort entirely. While the latter seemed almost unthinkable after the thousands of man-hours already invested, the former posed an equally dismal prospect: another soul-destroying year surviving on social security handouts and living in derelict housing. The Expedition book, Dark Waters, Launched in US and Canada! Very proud to announce North American print publication of Dark Waters, first in The Expedition trilogy chronicling the first human-powered circumnavigation of the Earth. Discounted to $11.50 in the US on Amazon. Also available on BN.com or signed copies direct from the publisher. Indigo is carrying it in Canada for $12.96 CAN. Ebook version out very soon. 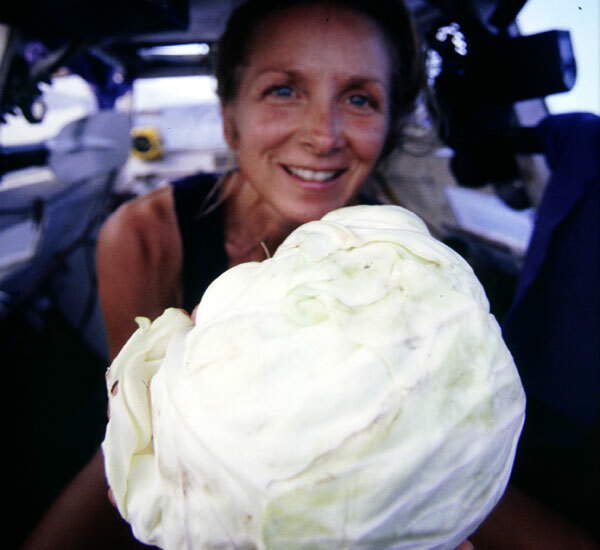 THANKS: Including the circumnavigation itself, the expedition project is now 20 years in the making. Thousands of people have contributed in myriad ways to make it happen. Special thanks for bringing this story to the written page go to Kenny Brown (photos), Tammie Stevens (editor), Rob Antonishen (maps), and Anthony DiMatteo (editing). Thanks also to all who read and gave feedback to early drafts. The following afternoon we re-launched Moksha into Salcombe harbour, loaded her with three days of provisions, and headed for the open sea – centreboard firmly in place this time. For Steve, this was to be his first night at sea, ever. He had more experience of overland travel having ridden a bicycle more than a mile since leaving school. I had more experience of boats having actually been in one.